Linda Gillard took part in my #TenThings feature a couple of months ago, talking about many of her books. You can read that here When I had a look back at that, I see she would cast Helen McRory and David Tennant in the lead roles of this book should a film be made of it. The screen rights have been sold so you never know! Emotional Geology was Linda Gillard’s first book and I admit to being drawn to that stunning cover plus the fact that it is set on an island, something I always find appealing. Rose Leonard has bought an old cottage on remote North Uist as she runs from her life. Through flashbacks, her own thoughts and letters to her estranged daughter Megan, we start to understand what has driven Rose to flee her previous life. At the same time, we follow her as she begins to settle into the small community where she is warmly welcomed by Shona whose younger brother, Calum, catches Rose’s eye. Rose’s mind and mental health is another theme of this book as she lives with bi-polar disorder. We see clearly how this affects not just Rose but her family and friends too. They are always on the alert, constantly worried. At the heart of the book though is perhaps a love story. It’s not just about relationships though but about the different kinds of love people can experience and how it affects their lives. There is love between friends, between family, love of mountain-climbing, love of life, and yes romantic love too. Rose has to learn to trust herself to love again and perhaps most importantly to love herself. Emotional Geology is a beautifully written book about the redemptive power of truth and acceptance and above all the healing power of love. It’s a thought-provoking read, deeply moving and full of fascinating characters. I thought it was wonderful. Rose Leonard is on the run from her life. Haunted by her turbulent past, she takes refuge in a remote Hebridean island community where she cocoons herself in work, silence and solitude in a house by the sea. Life and new love are offered by friends, her estranged daughter and most of all by Calum, a fragile younger man who has his own demons to exorcise. A passionate, off-beat love story set in the Outer Hebrides, EMOTIONAL GEOLOGY was shortlisted for the WAVERTON GOOD READ AWARD 2006 and was runner-up for PURE PASSION, North West Libraries’ award promoting romantic fiction. Linda Gillard is the author of eight novels and she lives in North Lanarkshire, Scotland. Linda graduated from Bristol University, then trained as an actress at the Bristol Old Vic Theatre School. Whilst under-employed at the National Theatre, she developed a sideline as a freelance journalist. She ran two careers concurrently for a while, then gave up acting to raise a family and write from home. At the age of 40 she re-trained as a teacher and taught for some years, then moved to the Isle of Skye where she lived for six years, writing full-time. 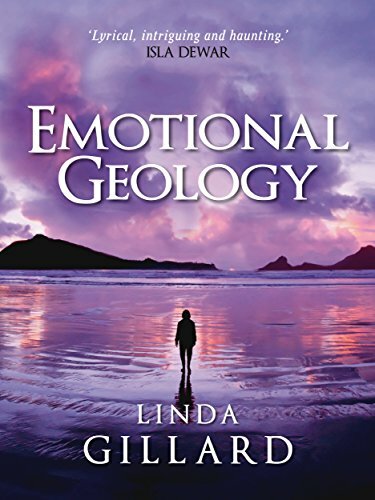 Linda’s first novel, EMOTIONAL GEOLOGY was short-listed for the 2006 Waverton Good Read Award. 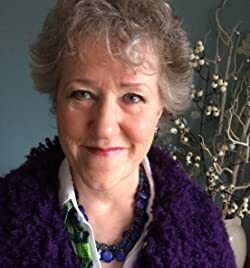 STAR GAZING was short-listed for “Romantic Novel of the Year 2009” and “The Robin Jenkins Literary Award”, the UK’s first environmental book award. Linda’s fourth novel, HOUSE OF SILENCE quickly became a Kindle bestseller. It was selected by Amazon UK for their Top Ten “Best of 2011” in the Indie Author category. Ah Joanne, one of my all-time favourite books, and Linda always one of my favourite authors – so lovely to see your review! I haven’t come across this before but I’m so glad I have. Definitely a book I’d enjoy. I was really impressed by it I must say and will definitely read more by this author. One of my all-time favourite writers and I think this is my second-favourite of her books. It’s a lovely read. So glad you enjoyed it, Joanne. I love books set on islands too. Oooh what’s your favourite one then? It has to be Star Gazing. It was the first one I read and it prompted me to have a holiday on Skye (where it rained nearly all the time!). It’s a lovely read, I recommend it. EG is a very close second though. I have just downloaded; islands ( we spent a whole week on Skye and I loved it! ) and delving into people’s lives, I’m sure I will enjoy. Thanks for the ourchase, Tidalscribe. I’m the author. STAR GAZING was shortlisted for “Romantic Novel of the Year” but also for another award for landscape writing. This was my first novel and I wrote it just for myself. I never expected to see it in print but my online writing group nagged me into trying to find a publisher. I didn’t think it was remotely commercial because the romantic heroine was 47 – and this was in the heyday of chick lit. My age exactly! I’ll definitely be checking out some of your other books Linda. Great review. I hopped over to Amazon and downloaded this book right away. Looking forward to reading it very soon.